The Madsaki Flowers silkscreen prints premiered with great fanfare at the 2017 ComplexCon in Los Angeles. 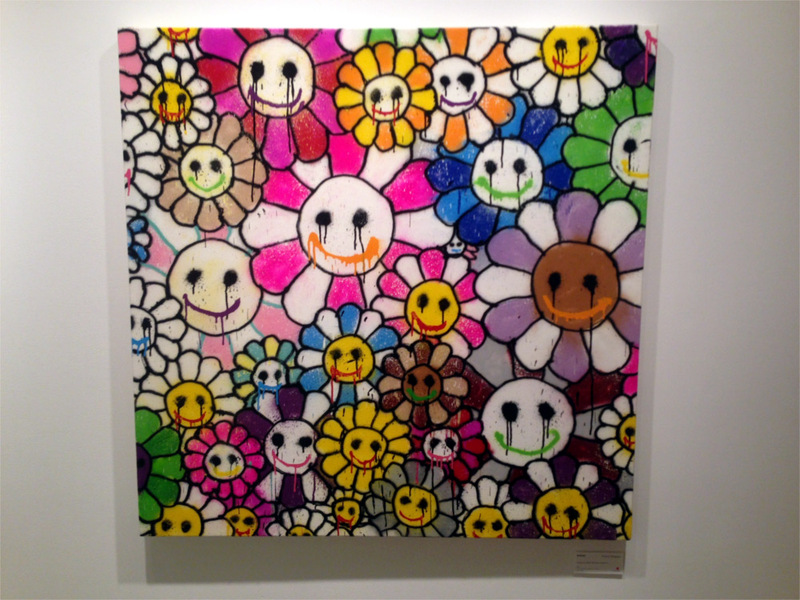 In the follow-up to its initial release, Madsaki Flowers re-appeared in separate sales by Murakami’s official sponsor Gallery Perrotin, and at Murakami’s newly unveiled Tonari no Zingaro (‘Next to Zingaro’, Murakami’s pop-up shop next to Oz Zingaro). Now this Sugimoto68 article will clarify how the various venues distributed the Madaski Flowers prints. First, what in tarnation are the Madsaki Flowers? Madsaki Flowers are silkscreen prints based on Madsaki’s Homage to Murakami Takashi’s Flowers paintings, which premiered at his Hickory Dickory Dock solo show at Hidari Zingaro in 2016. Murakami gave Madsaki free rein to reinterpret the iconic Hana-chan, and Madsaki ran with it. 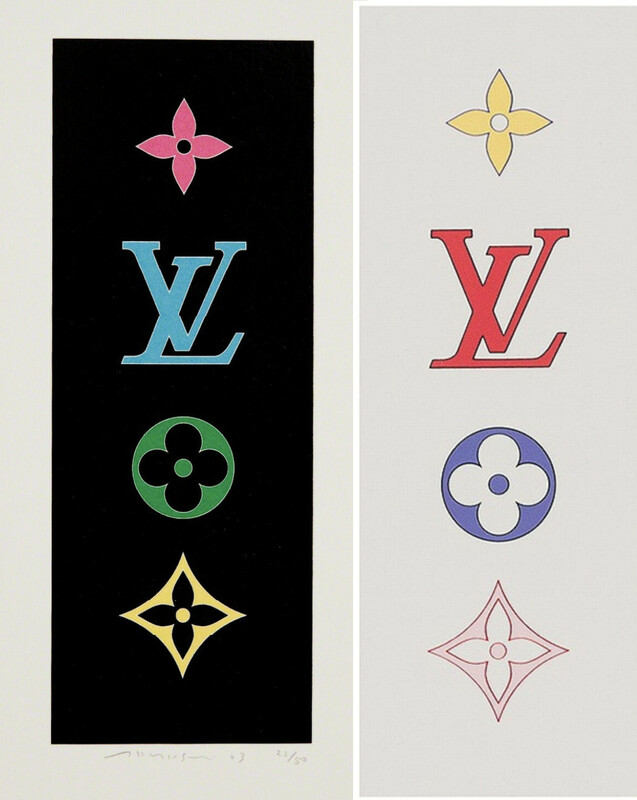 Inspired by the result, Murakami proceeded to release what he dubbed as, ‘Madsaki Flowers’, in triple silkscreen sets in four colorways. The prints are Kaikai Kiki Factory prints; therefore, they bear the signature of Murakami Taksahi exclusively, not Madsaki. The four Madsaki Flowers colorways are beige, black, red and black lamé/pink; each color has an A, B and C variant, making a total of 12 Madsaki Flowers prints. 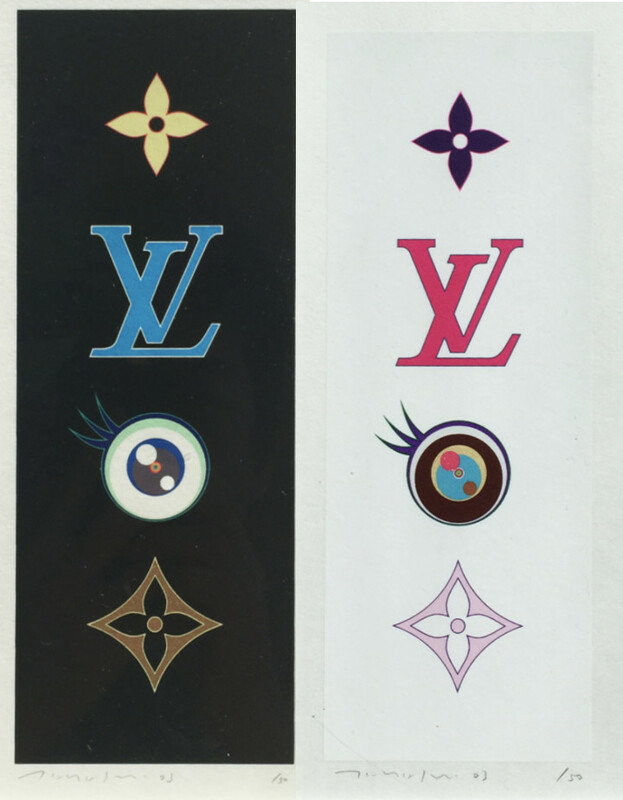 The prints are Murakami’s first mini-silkscreens/lithographs (image 373 × 300 mm/sheet 470 x 380mm) since he released the Floflowers お花っち lithograph and the Eye Love Superflat Eye and Superflat Colorful Monogram silkscreen series in 2003. 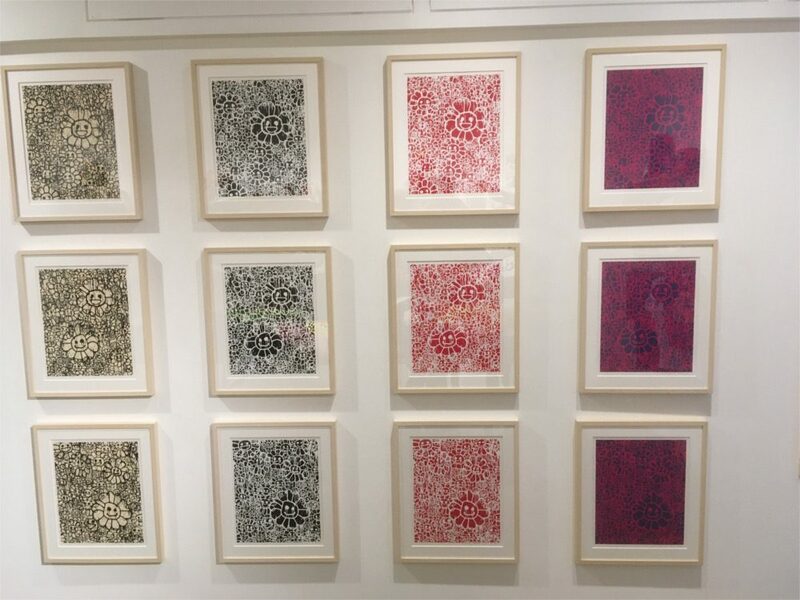 Note that the Floflowers print (image 210 × 77 mm/sheet 320 x 165 mm) premiered at 173,250 yen, more than double the price of Madasaki Flowers or the more comparable Little Flower Painting silkscreens. Each of the 12 Madsaki Flower silkscreens comes in an edition of 100 prints signed and numbered by Murakami Takashi. Three different selling venues split the 100 limited edition print run of three Madsaki Flowers colorways. Complexcon, Oz Zingaro, and Perrotin each had a part of the beige, black and red editions–perhaps around 25 to 30 out of 100 prints per edition. I don’t know exactly what part of the run each venue had, but the Complexcon share seems to run from the 20s to the 40s (as evidenced on Ebay); the Oz Zingaro share from the 60s to the 80s (from observation); and I imagine that the Perrotin share runs between the 40s and the 60s. The Complexcon prints were $600 usd +10.25% sales tax; Oz Zingaro editions were 76,700 yen including tax; and the Perrotin New York editions were $900 usd. On a final note, the Madsaki Flowers prints are indeed silkscreens, and not lithographs. In Japanese they are described as 版画 hanga, a term that can refer generally to prints made by hand using any process such as, silkscreen, lithography, woodcut or letterpress. Oz Zingaro disambiguates the description of the Madsaki prints by clearly labeling them as シルクスクリーン, the Japanese loan word for ‘silkscreen’. Plus all of the telltale signs of a Murakami silkscreen release show up on the print: the wide margins for silkscreen registration/alignment (Murakami offsets typically lack large margins); the small run of 100 prints (Murakami offsets almost invariably have 300 editions); and the quality of the colors on the print (offset prints employ the 4C color process). The ComplexCon release was ambiguous since ‘lithograph’ appeared as the term describing the prints. Lithograph can be used to connote the specific printing process or as a generic term for prints. Amended March 15, 2018 to contrast Murakami silkscreen and offset prints.